Recently, someone inquired if I had any information about ‘u Monacu. As this involves the history of Gagliato, I decided to share my response with everyone. ‘U Monacu is the location just outside Gagliato where once stood an old monastery. I was born in Gagliato but left at a young age. So, I did what anyone in my fortunate position would do – ask my parents and my brother – all born there and resident there for many years. They spoke of their recollections and the claims by many that spirits were (and apparently still are) a formidable aspect of the ruins. Well, if one tries to find those ruins today, I am told that very little remains. When my daughter and I photographed the town in 2007, the “famous” ruins were not in the visible horizon (maybe we didn’t look hard enough). However, Francesco Pitaro (see Arts and Culture section), wrote an article that referenced the ruins and provided a very brief historical summary. Last Sunday’s post entitled The Borgias and Gagliato, was conceived primarily because of a connection that Francesco Pitaro described in his article. Today, this post has its roots in that same article. In an effort to address the inquiry, I translated the piece and I have included both the original in Italian and my translation (any translation inaccuracies are solely my responsibility). Dell’antica grangia certosina di Gagliato resta ben poco. Quell’antico insediamento monastico ha sempre rivestito per la comunità gagliatese, ma anche per quelle dei paesi limitrofi, una grande importanza. Con un piccolo sforzo di fantasia è possibile immaginare come tra quei monaci e la gente del luogo fosse in atto un reciproco rapporto di laboriosità e di preghiera. Tempi remoti, di cui oggi non giunge altro che un’eco lontana, quanto suggestiva e toccante. Ancor vivo è invece il disappunto per l’insipienza di quanti permisero che i ruderi del vecchio convento passassero in mani private, e quindi manomessi e irrimediabilmente deturpati. La data di fondazione è alquanto problematica. Esiste tuttavia un documento che fa supporre che essa dovette essere costruita a partire dal XII-XIII secolo. Si Tratta di un atto di donazione, datato 14 novembre 1191, per mezzo del quale si assegnava al monastero di Santo Stefano del Bosco un podere nel territorio di Gagliato (prœdium positum in agro Galliati). La grangia dovette essere molto fiorente dal punto di vista economico. Essa infatti amministrava un vasto feudo che ricadeva nei comuni, oltre a quello di Gagliato, di Satriano, San Sostene, Davoli e Argusto. Tra le sue mura, fra l’altro, si spense padre Saverio Cannizzari, priore della certosa di Serra San Bruno dal 1766 al 1774, nonché profondo studioso di matematica e astronomia. Ciò avvenne il 10 gennaio 1784, quasi esattamente un anno dopo il catastrofico sisma che devastò l’intera Calabria. Cominciò da quell’infausto evento la decadenza del cenobio: la Cassa sacra e i francesi, in fasi diverse, dapprima lo sospendevano e poi lo sopprimevano assorbendone tutti i possedimenti. Uno studio più approfondito su questo personaggio e sulla sua permanenza in questo eremo mi riservo di riprenderlo quando il tempo a dispostone me lo consentirà. 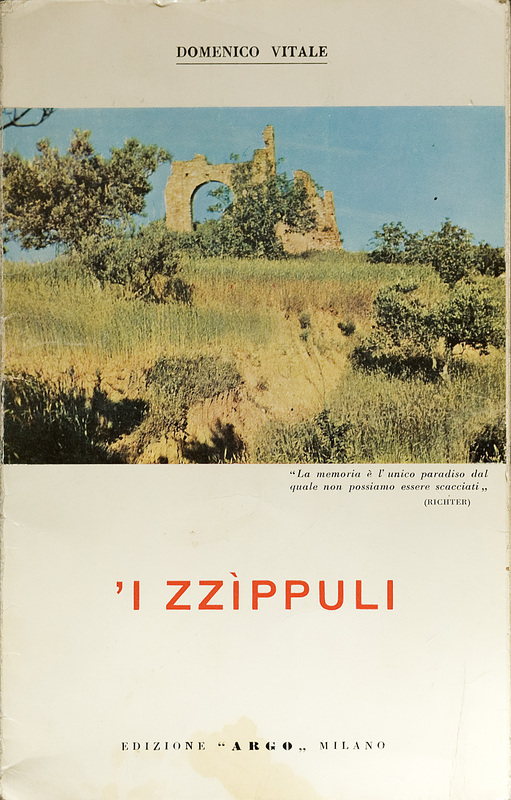 In ciò avvalendomi di un paziente ed encomiabile lavoro di ricerca minuziosa che fece per me, molti anni or sono, il bibliotecario della certosa di Serra San Bruno, padre Serafino Caminada. I documenti da lui rinvenuti negli archivi, e vergati di suo pugno con minuta calligrafia, mi sono preziosi e mi hanno permesso di scoprire questo aspetto riconducibile alla grangia gagliatese. Very little remains of the ancient Carthusian grange at the outskirts of Gagliato. That ancient monastic settlement was of benefit and of great importance to the people of Gagliato and those in neighbouring towns. With a little effort and imagination we can conceive that the monks and the locals had in place a solid relationship of hard work and prayer. A time so remote, which today is but a distant echo, yet evocative and touching. The memory still lives, but with disappointment at the foolishness of those who allowed the ruins of the old convent to pass into private hands, now compromised and irreparably scarred. The exact founding date is somewhat problematic to determine. However, there is a document that suggests that it had to be built sometime in the twelfth or thirteenth century. The document is a “deed of gift” dated November 14, 1191, by which was assigned to the monastery of Santo Stefano del Bosco a farm in the territory of Gagliato (prœdium positum in agro Galliati). The grange must have been economically strong, as it also administered a large estate that bordered the towns of Gagliato, Satriano, San Sostene, Davoli and Argusto. Within its walls, among other things, died Father Xavier Cannizzaro, Prior of the Charterhouse of Serra San Bruno from 1766 to 1774, who was a profound scholar of mathematics and astronomy. He died on January 10, 1784, almost exactly a year after the catastrophic earthquake that devastated the entire Calabria. From that inauspicious event began the decline of the monastery: the Sacred Treasury and the French, in different phases, first suspended and then rescinded the activity by absorbing all the possessions. A more detailed study of this character (Father Xavier Cannizzaro), and his stay at this retreat (the grange), I intend to resume when time permits. For such, I have volumes of minute details patiently, meticulously and commendably researched for me, many years ago, by the librarian of the Charterhouse of Serra San Bruno, Father Serafino Caminada. The documents he found in the archives, and penned in his own tiny handwriting, are precious to me and have allowed me to share some aspects of the Gagliatese grange. very cool. you blogged about my curiousity. heading to Gagliato next week. going to search for the spirit in the stones. thank you translating.